New Vegas Freeside Restoration - NVFR restores Freeside to its former pre - war glory, while still retaining that ghettoish feel. This is a beginners guide to scripting. You will learn basic facts about the Fallout scripting language, and many different useful scripts and how they work. This mod adds 10 new exciting easter eggs for you to find. This simple mod adds the Burned Mans armor for you to use. Includes Sleeve and Sleeveless armor variant, and Head Wrap. 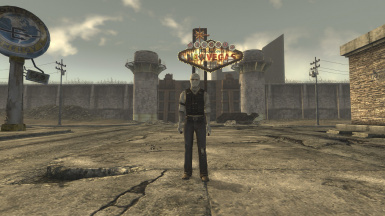 The whole point of this mod is to create a Strip that reminds us that there is still some good in the wasteland. By removing the trash, repairing the buildings, and adding more life to the Strip, our goal can be achieved.